In the emergency required by the German break in the Ardennes front, the Supreme Headquarters decided to send on the continent all the American divisions based in England. Like the other units of the 17th Airborne Division, the 194th Glider Infantry Regiment was so placed in alert on Tuesday December 19, 1944 at 06h00 and received movement orders from the Divisional Headquarters. On the order of Major General Miley, it had to prepare itself for an airborne transportation toward the European continent while only a little party made the travel by sea. Once arrived in France, the Division will be assigned to the 12th Army Group (see shoulder sleeve insignia on left) and its initial mission will be to defend the west bank of the Meuse River in the Meuse department, France to stop the German troops. The day and a great part of the next one were used to prepare the travel while the operation plans were hastily realized and a lot of meetings organized. On Wednesday December 20, 1944 at 08h00, after more than twenty-four hours of intensive preparations, advance party and first serial (including the 2nd Battalion) left Ogbourne St. George for marshalling area at Ramsburry Field. The weather was so foggy that the men couldn’t see the planes lined up on the runways until they were closed to them. All movements were temporarily held up because of this awful weather. On Friday December 22, 1944 at 16h00, the second serial left Ogbourne St. George for Ramsburry Field while the third Battalion (in fact the 550 Airborne Infantry Battalion attached to the 194th GIR) left Aldbourne for marshaling area at Chalgrove. The weather was still bad and all movement was also temporarily held up for the next 24 hours. It is this day the Headquarters requisitioned all the planes available to organize an air supply to help the defenders of Bastogne. On Saturday December 23, the American airplanes dropped hundred and fifty tons of supply. This photo realised on December 21, 1944 by William T White (ASN 14165646 - 439th Troop Carrier Group, 9th US Air Force) shows C47 planes and gliders ready to resupply the men trapped in Bastogne. It was not realised in England but in France. The scene must be however very similar to the one experiences by the men of the 194th GIR. 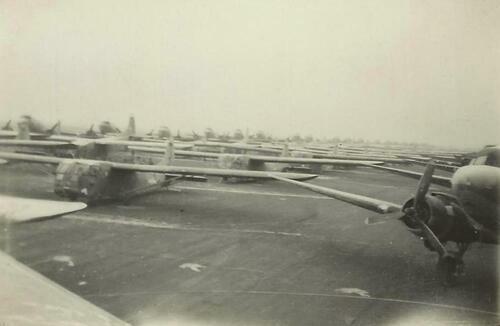 Note that the same planes will carried men of the 17AB Division few month later, during Varsity (unpublished photo - TFH collection). 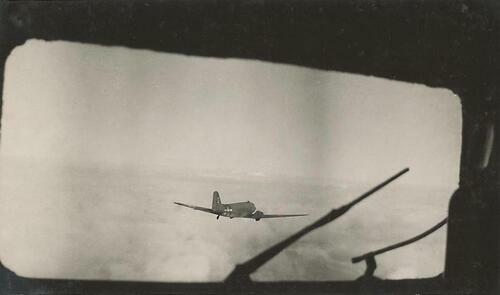 Finally, the first serial received the order to take place in the C-47 planes on Sunday December 24, 1944 at 10h00. They took off around 15h00 for Camp Mourmelon in France and arrived at the airfield A-68 located in Juvincourt at 17h35. The men leaved the marshaling area around 21h09 toward Mourmelon and arrived around 24h00 to their new assignment. Monday December 25, 1944 at 08h00, the third serial left Ogbourne St. George for Ramsbury Field. That was a strange Christmas day without celebrating, no church service and only C-Rations for Christmas dinner ! Tuesday December 26, 1944 at 15h00, the second serial left England for Mourmelon. Wednesday December 27, 1944 at 09h00, the 550th AIB left Chalgrove Field for Mourmelon. At 11h00, it is the third serial which left Ramsburry Field. This other photo realised by William T White (ASN 14165646 - 439th Troop Carrier Group, 9th US Air Force) shows C47 plane during a fly somewhere in Europe ... (unpublished photo - TFH collection). After more than three days of travel movements, the entire 194th GIR was now located in Camp Mourmelon, France. At 24h00, the Second Battalion received order to move immediately for Sedan. Thursday December 28, 1944 at 03h00, the HQ Company with Regimental Adjudant (S-1) moved from Mourmelon to Tannay where they arrived approximately at 06h30. They set up a temporary Command Post. Early in the morning (08h00) the S-4 went to Charleville (the area held by the 193rd GIR) in connection with ammunition and other supplies before joining the 550th AIB at Raucourt for finally moved forward at 13h30 to the temporary Command Post of Tannay. At 08h35, it is the 550th AIB that left Mourmelon for a new position located in Raucourt. The Regimental Intelligence Officer (S-2) and the Regimental Plans & Training officer (S-3) arrived first in Raucourt at 09h30. A new movement order came at 14h00 and the Battalion moved forward to Harcourt where it established its Command Post. The Service Company located in the village of Flaba moved forward at 12h30 to join the HQ Co at Tannay. At 14h45, the Regimental Adjudant (S-1) leaved the village to Raucourt where he opens a new Command Post at 15h45. Colonel Pierce arrived at 17h30 and called staff meeting at 20h00. A night time curfew was ordered after 9 PM. Friday December 29, 1944 was a quiet day in the area of the 194th GIR. A French Battalion (the 3rd one) arrived in the area around 11h10. The Regimental Plans & Training officer (S-3) was informed at 11h31 that 10.000 mines were available at Ordnance Depot of Verdun and immediately, the 2nd Battalion claimed 2000 ones. In early afternoon, Captain Hunter and the S-4 met the mayor of Raucourt to organize billets and requisitions. In the evening, the little town of Vouziers was bombed around 20h30 and a german ME-109 airplane was located at 23h55, flying north west approximately ½ mile north of Beaumont. Saturday December 30, 1944. Brigadier General Joseph Phelps arrived to the Command Post in early morning to meet Colonel Pierce. He stayed to the Command Post the most part of the day. The fear of spies and enemy infiltrations remained high and active researches were organized regularly. For example, men of the counter intelligence service were sent in Mouzon during the night to investigate suspects reported by the first Battalion. At 11h15, MPs brought in 6 Prisoners of war captured at Vouziers to betake on to Division for interrogation. In this trouble and uncertain time, cohabitation with civilian French people was not always easy and sometimes officers were obliged to arbitrate minor incidents. Thus, in early morning, French policeman complained to the Regimental Intelligence Officer (S-2) that Enlisted Men were removing chairs from town hall and expressed the desire that Protestant services were held in the chapel rather than in the town hall! In early afternoon, Captain Hunter reported that the Mayor of Raucourt has complained to Commanding Officer about the troops town wood supply. Detail was report to the S-4 the next day for purpose of getting wood for the troops. French Mayor showed where to obtain wood. Wood used by the US troops thus far will be replaced. At 14h10, Lt Alcott was assigned to the bridge defense. The American forces organized defense in collaboration with French forces. Chief of FFI (Interior French Forces) was received to the Command Post at 15h00 and was sent to the 713th MP to coordinate FFI patrols. A meeting with Colonel Pierce, Battalion and Company commanders was held at 20h00. Colonel McCarty and Major Dantel from French Infantry Battalion were also present. At 22h50 the First Battalion wanted Engineer tools to help with defensive positions. Sunday December 31, 1944. As previous nights, German airplanes also called “Bed check Charlie” by the GI’s were reported above the 194th GIR area. The last day of the year was quiet. Several men suffered flu and were evacuated in the afternoon. Mouziers was bombed again around 20h30. Monday January 1, 1945. As the previous nights, German planes still fly over the area. Sedan was strafed at 00h21 and the bridge of Muzon around 01h00. This first day of the year 1945 was very quiet. Many men were so send at Divisional echelon for shower. At this time, the German offensive was definitely stopped. The Third US Army of General Patton has move into offensive and his 4th Armored Division has broken the siege of Bastogne five days before. He has launched the 87th Infantry division and the 11th Armored on the north west of Bastogne and the 26th Infantry division and the 35th Infantry division on the south east of the city to widen the corridor. Combats were intense with heavy casualties. 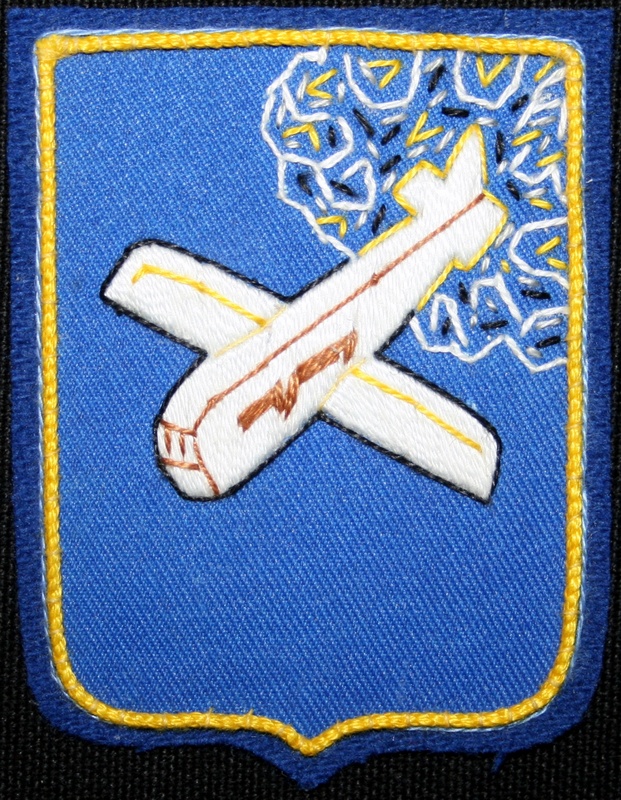 It is so decided to also launch the 17th Airborne Division in the battle. In the afternoon, around 17h30, Colonel Bailey instructed to be ready to move out at any time if necessary. Once again, German airplanes come with the night and 2nd Battalion area is strafed between 19h30 and 20h00 causing one casualty. At 22h45, Colonel Bailey gives movement order to the 3rd Battalion. One hour later, the advance party left Raucourt Command Post. The 3rd Battalion Command Post will be closed at 24h00. Tuesday January 2, 1945 is also a quiet day. The men of the 194th GIR wait the movement order toward the front line but Colonel Bailey delay the movement. Wednesday January 3, 1945. The Regimental Command Post located at Raucourt was closed at 00h45 and transferred in Belgium with the whole Regiment. The 3rd Battalion open its new Command Post in the little town of Lavaselle, north east of Magerotte while the new Regimental Command Post open around 12h00 in the village of Magerotte, approximately 12,5 km west of Bastogne. At 14h45, the 3rd Battalion (in fact the independant 550th Airborne Infantry Battalion attached to the 194th GIR) received order to go on reconnaissance toward Hubermont, north of Magerotte. Hardly arrived in front line, General Patton has decided to launch a general attack in the sector of the 17th Airborne Division to deeply penetrate the German lines toward Houffalize and made junction with troops of the 1st US Army. In preparation for this attack planed on January 4, Colonel Pierce organized a staff meeting at 20h30. The aim of this meeting was to plane a general attack with 87th Infantry Division on left, 17th Airborne in center and 101st Airborne Division on right while 11th Armored Division will remain in reserve. The Division will engage the 194th GIR and 513th PIR while 193rd GIR and 507th will stay in reserve and will follow at 3650 meters. The attack schedule hour was 08h15, just after an artillery preparation. The 194th GIR will engage two battalions: the 3rd on the right and the 2nd on the left. The 1st Battalion will remain in reserve. 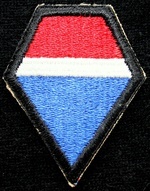 Artillery support will be ensure be the 492nd Armored Field Artillery Battalion (11th Armored Division) and possibly the 681st Glider Field Artillery Battalion. Four tank destroyers and twelve tanks will remain in regimental control (name code ringer) and air support is announced. The men will wear overshoes, overcoats and muzette bags but no gas masks. They will take ammunitions and hand grenades.